This is a very interesting post but Simon Pirani’s The Russian Revolution in Retreat attacks the very essence of Leninism/Trotskyism and indicates a retreat to social imperialism by Pirani, whom I knew in the WRP. he supported the Maidan Coup in 2014 and has oil interests in Ukraine. 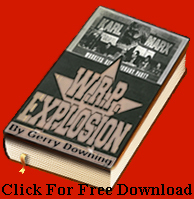 He was one of the leaders of the left in the post split WRP Workers Press but ratted and re-ratted on the left. I was pleased to demonstrate against him in defence of the Donbass in London a few years ago. Communists today must grapple with the difficult realities of the USSR, a society where capitalism didn’t operate but working class rule was liquidated.